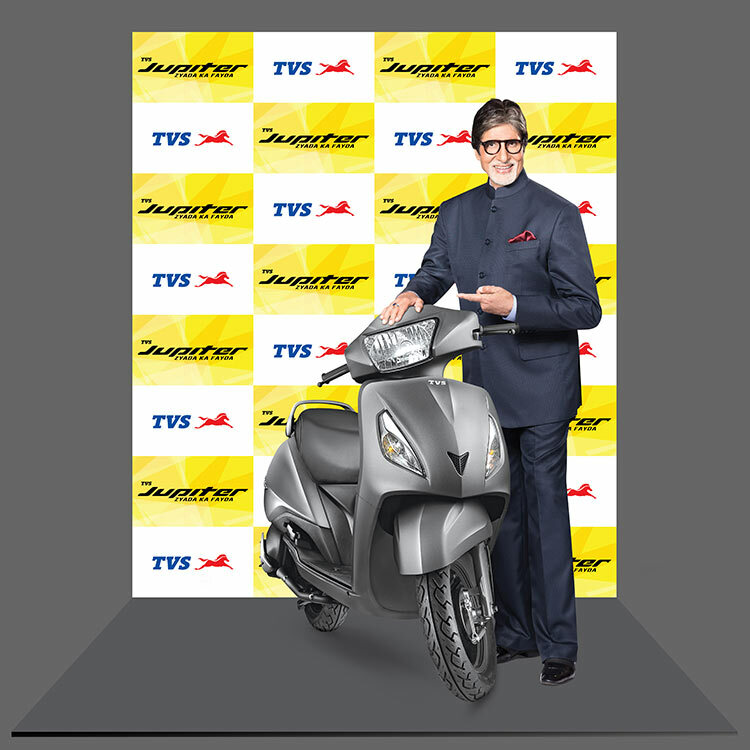 Taking forward TVS Jupiter’s brand philosophy: “ZyadaKaFayda”, TVS Motor Company today, announced that it has roped in Amitabh Bachchan as ‘Brand Philosophy Evangelist’ for TVS Jupiter, the second largest scooter brand in the country.It is the first time that Amitabh Bachchan will be endorsing an automotive brand in the two wheeler space. ShriAmitabh Bachchan is held in high esteem in the hearts of India. He embodies the fact that success comes from talent that is nourished with great diligence, character and the spirit of wanting to do ‘Zyada’. This is the philosophy behind TVS Jupiter, ZyadaKaFayda, which we are confident will resonate across India, especially when it is propagated by Shri Bachchan himself. We are very happy to welcome him into the TVS Family. It is an honour to associate with TVS Motors, especially, with its flagship Scooter brand the TVS Jupiter. I felt very welcome, and at home here. While we are working on some very exciting things, the first campaign is looking very good and I am sure will be liked. I look forward to a fulfilling association with the brand. To all members of the TVS Jupiter family, I would like to convey my warm greetings for very happy and prosperous festive season. The first TVS Jupiter Campaign with Amitabh Bachchan is built around the festive season and is directed by renowned director ShoojitSircar. TVS Jupiter has had the fastest ramp up in sales volumes reaching half a million unit milestone in just eighteen months. TVS Jupiter offers Zyada style, Zyada comfort, Zyada features and Zyada mileage and is available in two variants: TVS Jupiter and TVS Jupiter ZX.